The Preeclampsia Foundation and its affiliate Preeclampsia Foundation Canada have announced that Nga Ling Ko, PhD, and Sruthi Alahari, PhD, are recipients of the 2018 Vision Grants. These highly competitive monetary awards recognize the best young investigators with novel research ideas in preeclampsia and related hypertensive disorders of pregnancy. Ko was awarded $19,000 USD and Alahari was awarded $19,500 CAD. The Vision Grants were awarded to the scientific proposals recommended by the Preeclampsia Foundation’s scientific review committee with a further review by a consumer advisory board. 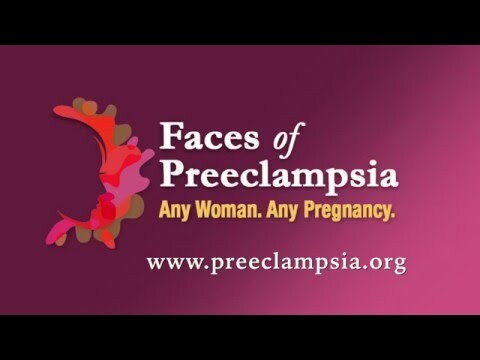 The Preeclampsia Foundation’s Board of Directors from the US and Canada rendered the final decision on those recommendations. Dr. Ko’s research, “Piezo1 Mechanotransduction in the Gestational Uterine Circulation,” will be conducted at The University of Vermont (UVM) in Burlington. The purpose of this study is to understand maternal uterine vascular adaptation during pregnancy – a mechanism that is essential for facilitating the progressive increases in uteroplacental flow that are required for normal fetal growth and development. Ko earned her PhD in Pharmacology at The Chinese University of Hong Kong and currently serves as Postdoctoral Fellow at the Department of Obstetrics, Gynecology and Reproductive Sciences, College of Medicine, The University of Vermont. She has co-authored numerous publications and presentations, and provided extensive research support since her graduate studies at The Chinese University of Hong Kong. Dr. Alahari’s study, “Towards Understanding Placental FN Processing in Preeclampsia and its Utility as an Early Predictor,” will be conducted at Lunenfeld-Tanenbaum Research Institute, Mount Sinai Hospital, Toronto, Canada. “Emerging research implicates small carriers called exosomes, particularly those of placental origin, in transmitting information on health status during pregnancy,” said Alahari. Exosomes are cell-derived vesicles that are present in many and perhaps all eukaryotic fluids, including blood, urine, and cultured medium of cell cultures. “This study will extract placental exosomes through pregnancy, measure their content, and monitor whether abnormal exosome profiles can be linked to the development of preeclampsia. Alahari earned a Medical Degree at the University of Siena in Italy and PhD at the University of Parma, also in Italy. Alahari currently serves as Senior Scientist and Professor at Lunenfeld-Tanenbaum Research Institute at Mount Sinai Hospital. Alahari has received numerous awards and scholarships, and co-authored a host of presentations and scientific abstracts. For more information or to arrange an interview with these Vision Grant recipients or the leadership of the Preeclampsia Foundation and/or Preeclampsia Foundation Canada, please call 1.800.665.9341.